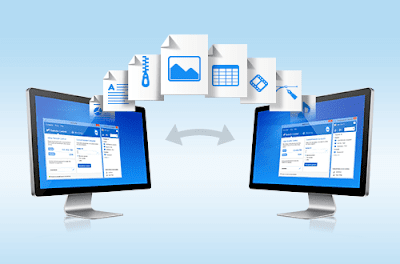 If you familiar with middleware, you will be familiar with MFT / Managed File Transfer. It is one of the middleware category. If you know FTP (File Transfer Protocol), you might be know this MFT. I have worked with this MFT for about a year. I work with several partner that provide MFT solution or product. For Indonesian Market, MFT is a right solution to help company work and collaborate with their customers and partners. So what is MFT? Managed file transfer ("MFT") refers to software or a service that manages the secure transfer of data from one computer to another through a network (e.g., the Internet). MFT software is marketed to corporate enterprises as an alternative to using ad-hoc file transfer solutions, such as FTP, HTTP and others. Typically, MFT offers a higher level of security and control than FTP. Features include reporting (e.g., notification of successful file transfers), non-repudiation, auditability, global visibility, automation of file transfer-related activities and processes, end-to-end security, and performance metrics/monitoring. ensure secure, reliable and auditable data transfer to enhance various type of business process. MFT applications offer business automation, along with reporting and non-repudiation. An MFT solution should simplify management and ensure regulatory compliance while supporting all current security standards and methodology, including SSLencryption, X.509 encryption and proxy certificates. MFT is a category of middleware software that ensures reliable, secure and auditable file transfer to enable critical business process. My Definition: Managed File Transfer (MFT) is a middleware software that ensure secure, reliable and auditable data transfer to enhance various type of business process. There are many solution related with this MFT. They offer several additional features to support the operational like Web Access, Mobile, etc... Some of them offer analytics functionality like dashboard too. Basically it is just an additional for the security, reliability and audibility data transfer. Just for your information too, some of the big brands also offer collaboration with another middleware like B2B (Business 2 Business) Integration. If MFT talk about file transfer, B2B talk about real time integration, and more automation. You have to decide based on your objective you want to achieve and of course your budget. Thank you for reading. The settings for file sharing are provided in the Windows 8 about sharing but unlike its earlier versions it is not that easy to enable these settings. Let us find out simple steps that you can apply and share your files.